The latest designer’s notes for Rainbow Six Siege have gone live, breaking down exactly what to expect with the latest balance changes for the game’s operators. The biggest changes come for Lion, as his rework is finally ready. Capitao is also getting some substantial changes, and there are smaller tweaks in store for another half-dozen operators. 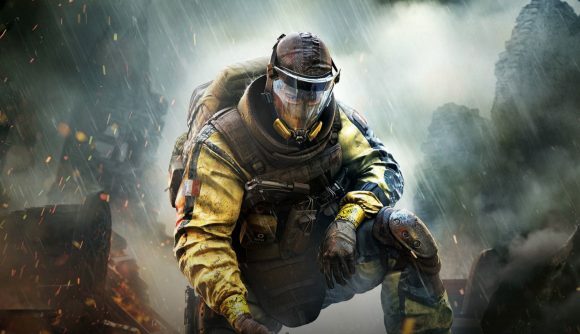 “The Lion rework is ready,” Ubisoft says in the full post running down the changes. “This change is aimed at reducing the oppressive feeling of his ability while maintaining his intel-gathering role.” Lion’s scan outline is getting replaced by an Alibi-style ping debuff. Moving defenders will be detected up to three times, with one second separating each ping. Lion’s ability warning is shortening from three to 1.5 seconds, and the scanning itself is dropping from four to two seconds. That drops the overall ability time to half of its original seven second length. Lion now has three charges instead of two, and the ability cooldown has been greatly reduced – from 27 seconds to 15. Capitao is getting some changes to get back to what Ubisoft calls his “original intention” – area denial. “This is possible by making further iterations on an improved propagation system that will make the area of effect no longer go through objects.” Damage per tick is dropping to 12, the size of the area is increasing, and the area will now take two seconds to reach max size. You can read the full list of changes to other ops in the full blog post, but here are some of the highlights. Nomad’s Airjabs now have an extra idle sound cue to help players get out of the way. Ying’s Candela’s now explode sooner the longer they’re cooked. Kaid’s losing ammo for the TCSG12 and gaining damage for the AUG-A3. There’s one amusing bit regarding Ash’s ACOG removal, too. While the nerf did its job in reducing her pick rate, it hasn’t actually reduced her effectiveness to any notable degree. Her win rate has actually improved since the nerf.